Super Bowl is right around the corner. Now let’s make it clear, I am not a football fan (at all), but I do enjoy the halftime show plenty and of course, the commercials. There’s been so much talk surrounding Super Bowl’s ratings this year. Many are saying it may be the least watched Super Bowl in History. One thing I know for certain though, whether you are watching live or not, or watching at all, chances are you will be enjoying some great grub this coming weekend. 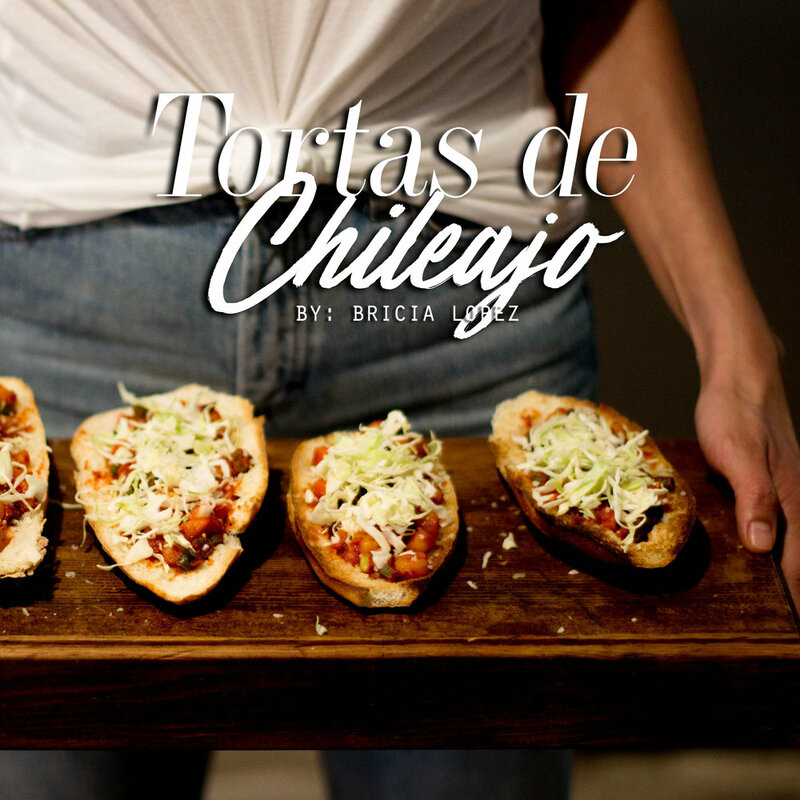 I cook up these Tortas de Chileajo whenever I am hosting guests. They are super simple to make and also make for a GREAT vegan and vegetarian dish. The secret is not only in the main recipe, but also in choosing the right kind of bread. If you are in the LA area, I suggest you head to your local La Monarca bakery for their bolillos (They even make custom mini sizes if you order in advance). If bread is not your thing, than grab a few tostadas and get ready to enjoy a clean, crisp and delicious bite. I suggest you pair the tostada version with some of your favorite Guacamole Recipe. In a blender add the soften chiles, 3/4 cup of reserved water, garlic cloves, vinegar and cumin. Blend until the the mix has a thick sauce consistency. Combine sauce with cooked veggies and toss until every vegetable has been fully covered. Place this veggie mix on top of bollillos, top with cabbage and queso fresco. Posted on January 31, 2018 by Bricia Lopez.